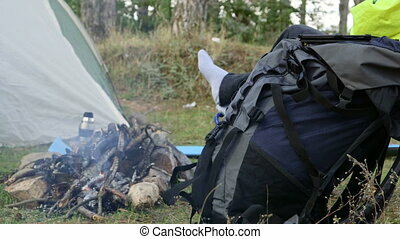 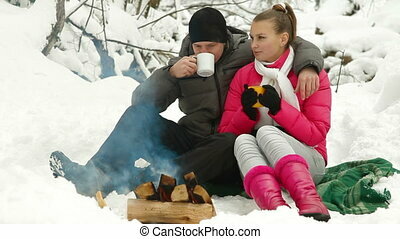 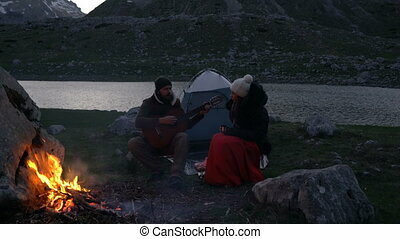 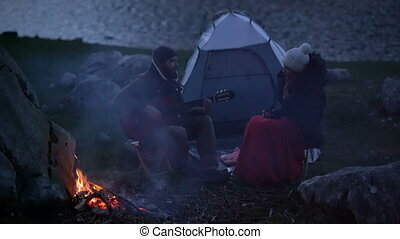 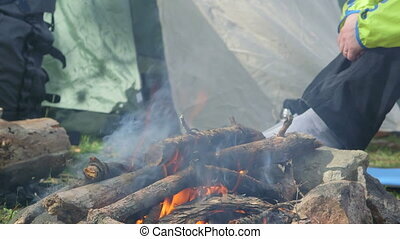 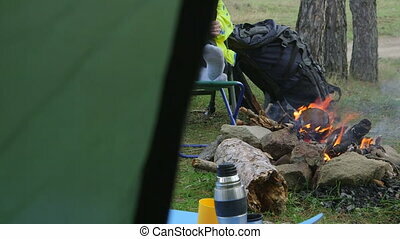 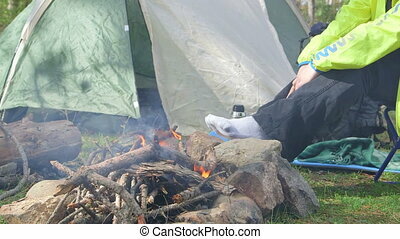 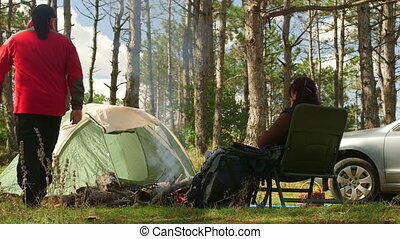 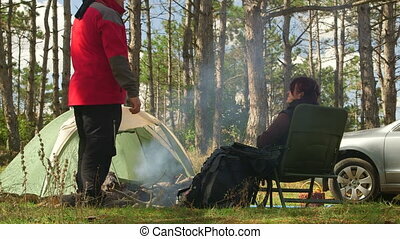 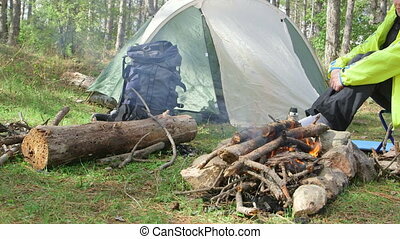 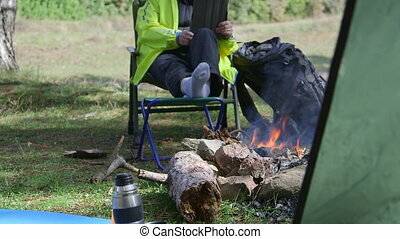 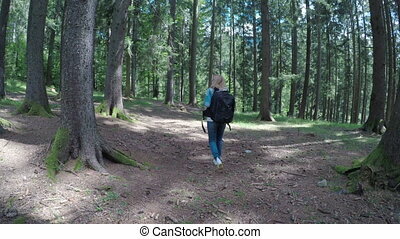 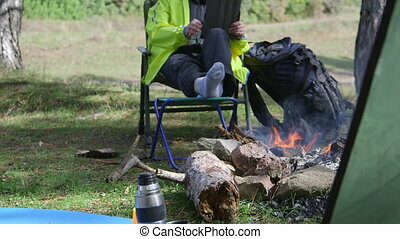 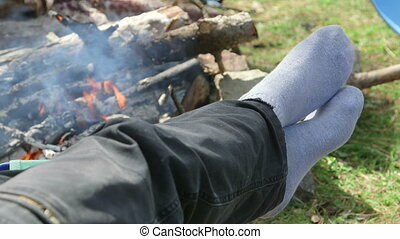 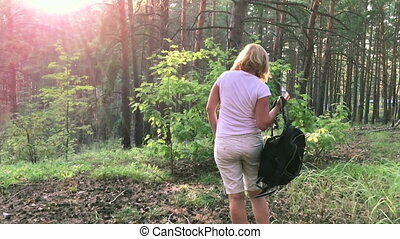 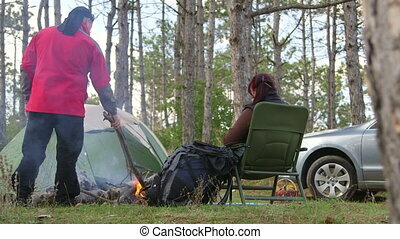 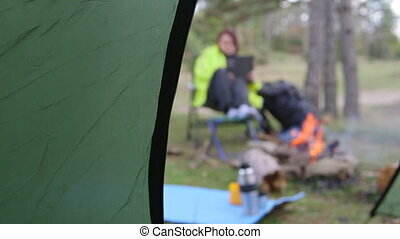 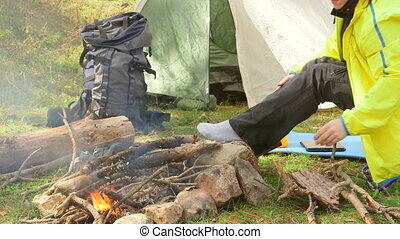 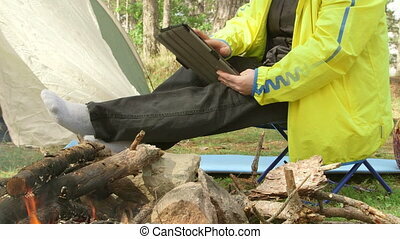 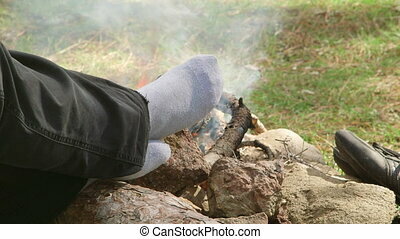 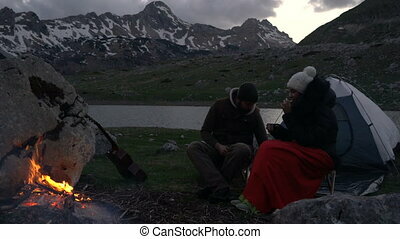 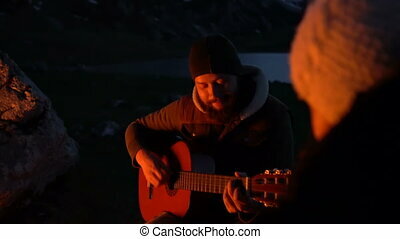 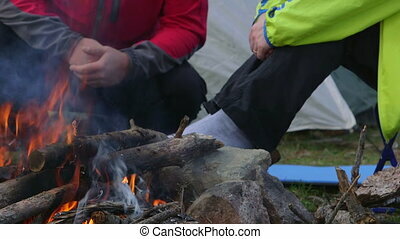 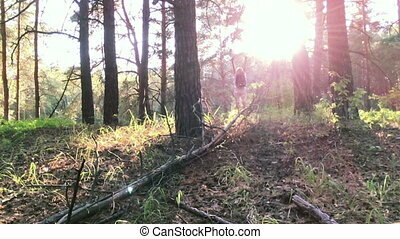 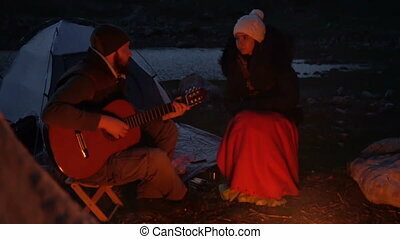 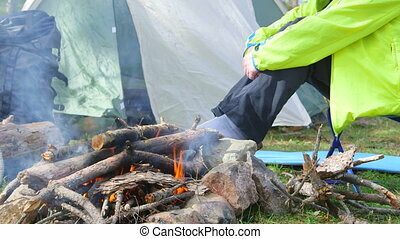 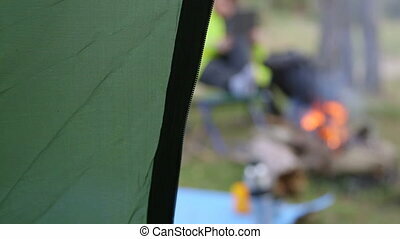 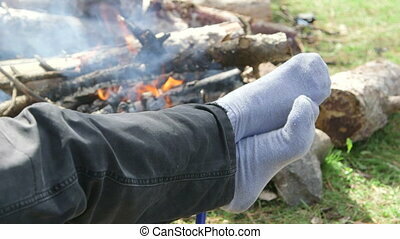 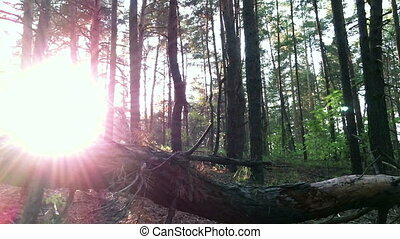 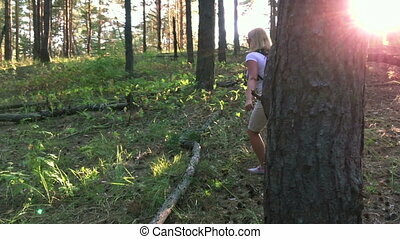 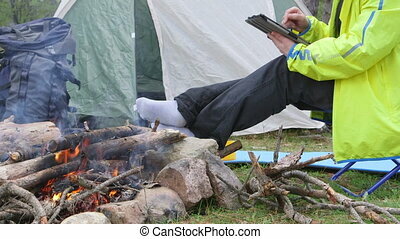 Female camper using digital tablet by campfire in the woods. 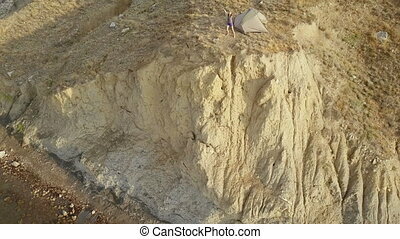 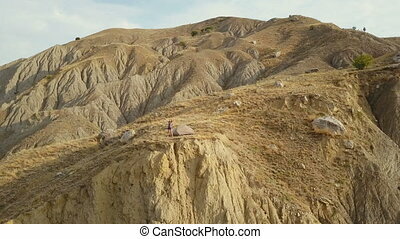 A wonderful Aerial drone footage of a young woman camping on a cliff edge in beautiful fox bay in Crimea. 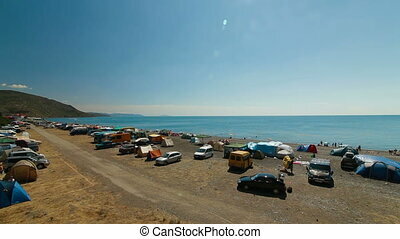 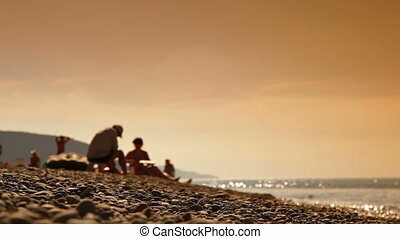 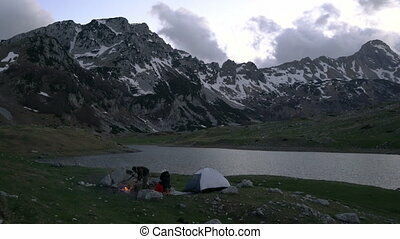 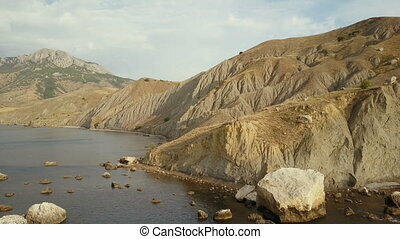 view of mountains on Black sea shore in Crimea.